Our guide to San Antonio will help you find the best breweries in San Antonio Texas. Wake up in the Alamo City with the scent of huevos rancheros in the air, the sound of mariachis, and the sight of barges winding down the San Antonio River, and you know you're some place special. San Antonio is quite possibly Texas's most beautiful and atmospheric city, so it's no wonder it's the state's number-one tourist destination. Remember the Alamo? It's here, sitting in a plaza right downtown, so you can easily walk to it from your hotel. But while most visitors check out this famous symbol of Texas liberty when they come to town, the historic mission is by no means the only reason to visit San Antonio. If experiencing San Antonio's multifacted ethnicity -- including not only its Latino side but also its German, French, African, and even Japanese influences -- is of prime importance to you, then the best time for you to visit may well be during Fiesta each April. An event that began in the late 1800s to pay tribute to the soldiers who died in the Battle of the Alamo and San Jacinto, the 10-day citywide celebration captures the city's many cultures, with music, food, festivals, fairs, parades, a carnival, and more. There are tons of great breweries in the city of San Antonio, our city guide will help you find the best breweries. You may have a hard time deciding what to do in San Antonio, but we make your decision easy. 1905 N Saint Marys St, (210) 225-8222 - Frio Brewing Co is a brewpub located in San Antonio TX. 312 Pearl Pkwy, (210) 655-1145 - Furstenbrau Brewing Co is a brewpub located in San Antonio TX. 4025 N Loop 1604 W, (210) 395-4974 - Free Brewery Tours every Saturday at noon. First come first served. 7801 N Interstate 35, (210) 655-1146 - Furstenbrau Brewing Co is a brewpub located in San Antonio TX. 9800 Airport Blvd, (210) 930-9100 - Alamo City Microbrewery is a brewpub located in San Antonio TX. 121 Interpark Blvd, (210) 226-0231 - Pabst Brewing Co is a brewery located in San Antonio TX. 14800 San Pedro Ave, (210) 490-9128 - Pete's Brewing Company is a brewery located in San Antonio TX. 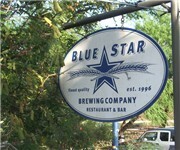 7114 Oaklawn Dr - Busted Sandal Brewing Company is a brewery located in San Antonio TX. There are plenty more breweries in San Antonio. See all breweries in San Antonio Texas.